At the heart of just about every IT network is the identity management platform. It is the system that manages who can access what digital resources within an organization. The system is perhaps the most important IT platform outside of the physical network itself. The core of that identity management infrastructure is the directory service. The directory service houses users and their credentials often referred to as identities. Those identities are then connected to the IT resources that individuals need. It is like a large table where the rows and columns intersect to decide whether a particular user is allowed access to a specific IT resource. Of course, there is far more complexity since the level of access needs to be considered as well. Organizations of any size have a directory service as it becomes critical over time from an efficiency and security perspective. Historically, the directory services space was commandeered by Microsoft Active Directory. When it was introduced in 1999, the solution was an instant hit with IT admins. Because their networks were virtually all Microsoft Windows-based and behind the firewall, AD made sense. As the IT landscape changed over the subsequent decade and a half, the directory services landscape unfortunately did not. With the introduction of cloud infrastructure such as AWS and Google Compute Engine, IT now had core infrastructure on the public internet. Web applications began to emerge for virtually every task that a user could possibly need. And, Macs and Linux devices infiltrated the once Windows network monopoly. All of these changes have put tremendous pressure on directory services solutions. Fortunately, a new generation of directory services platforms is now emerging to address these significant changes. Comprised within the Identity-as-a-Service category, the solution is called Directory-as-a-Service® (DaaS). The goal of a modern DaaS solution is to connect users to the systems, applications, and networks that they need to access regardless of location, platform type, or protocol. This cloud directory service is built for the modern cloud era and is delivered under a SaaS model – much like the underlying infrastructure it manages. While early -stage directory services were viewed as the single sign-on solution in a Windows world, the proliferation of types of devices and applications required additional solutions to create a patchwork SSO approach for IT organizations. Now, with a centralized user directory that connects to heterogeneous environments a True SSO™ platform exists. Hosted directory services today combines a number of core functions including centralized user management, SSO, LDAP-as-a-Service, RADIUS-as-a-Service, device management capabilities, and multi-factor authentication. What was once just a user directory, now has morphed into a fully-featured and powerful identity management platform. If you are interested in a modern cloud directory services platform, drop us a note. 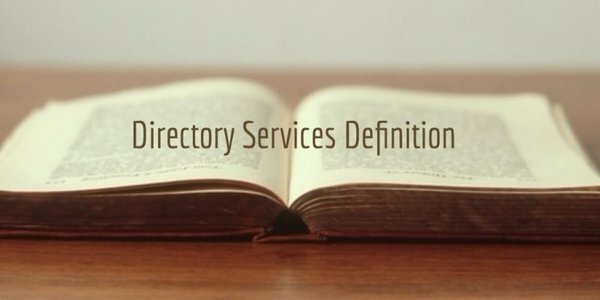 We’d be happy to talk to you about how directory services has changed over the last decade and why a SaaS-based directory service makes a great deal of sense. Or, if you would like to try JumpCloud’s Directory-as-a-Service platform for yourself, feel free to sign up for a free account. Your first 10 users are free forever.